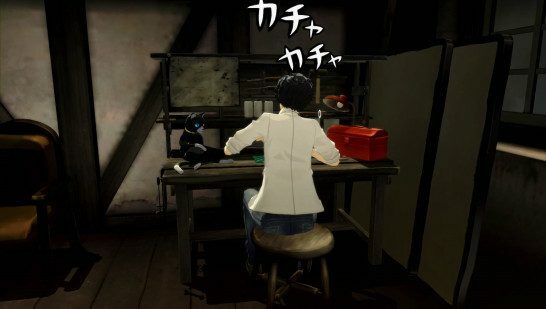 This page contains a guide on how to make lockpicks in Persona 5, including items required and their specific uses in the game. In Persona 5, lockpicks allow you to open Locked Treasure Chests found in Palaces or Mementos. Locked Treasure Chests contain rare items and materials, though it’s worth noting that when you successfully complete a palace (thereby shutting it down), you won’t be able to go back to treasure chests that you missed. With this in mind, you should clear out all Locked Treasure Chests on your first run. To create lockpicks, you’ll need to have a work desk at home. You can only make lockpicks once a day during your free time at night. You’ll need a Silk Yarn and Tin Clasp. How many lockpicks you can create depends on your dexterity. The higher the dexterity, the more lockpicks you will be able to make. Be sure to keep this stat in mind even at the beginning of your playthrough. The table below shows the amount of lockpicks you should bring to open every Treasure Chest in each of the Palaces in the game. If you obtain 20 Aluminum Sheets and 10 Liquid Mercury, you will be able to craft an Eternal Lockpick at the working desk. As its name suggests, the Eternal Lockpick can be used multiple times, without having to worry about bringing a lot of the regular lockpicks with you. Click here to read our guide on how to craft an Eternal Lockpick!